Discover the famed Island of the Gods’ by traversing through the tropical Bali Island within the remarkable Indonesian archipelago. Bali, which is undoubtedly among the best tourist and holiday destinations, has over the years established itself as a hub for international travelers. For anyone who tours this spot, there are remarkable attractions to marvel at. This island, bursting with ancient Hindu culture, is home to a unique culture which sparked into life the famous rice paddies and also established the breathtaking temples that have gradually become monuments of religion such as Pura Tanah Lot. To get you up and rolling there are some remarkable tours and adventures. With virtually everything from scuba diving, surfing, and even elephant rides, there are countless tours to render your Bali trip nothing but a blast instantly! Pump up your adrenaline and delight in some of the most stunning views of Bali in the most spectacular of fashions. Enroll in one of the many Bali bike tours and set yourself for one of the most exhilarating activities you can indulge in. 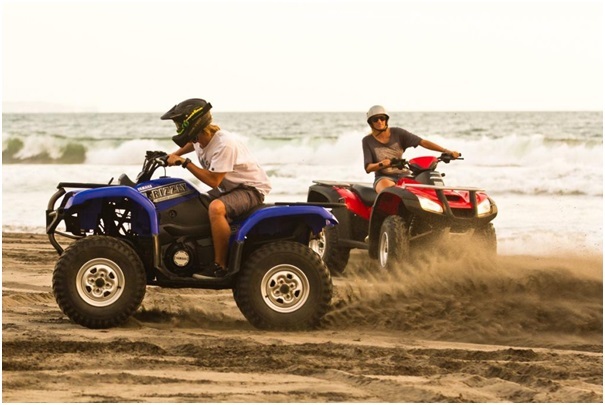 ATV Bali rides allow you to cruise through plantations, rice terraces, and expansive landscapes while taking in the spectacular panorama only Bali can offer. This tour affords you the chance to explore inland Bali atop a powerful quad bike. The course takes you across varying terrains on the all-terrain vehicle featuring long and challenging trails which are not monotone. The ride is safe and suits virtually anyone from beginners down to outright professionals. Cruise through otherwise rugged looking terrains and get a rare opportunity to witness firsthand rural Bali as well as the common native lifestyle courtesy of this tour. Not only is this tour assured to quench your adventurous soul, but it also ensures that you have an unforgettable trip across the Balinese landscape. 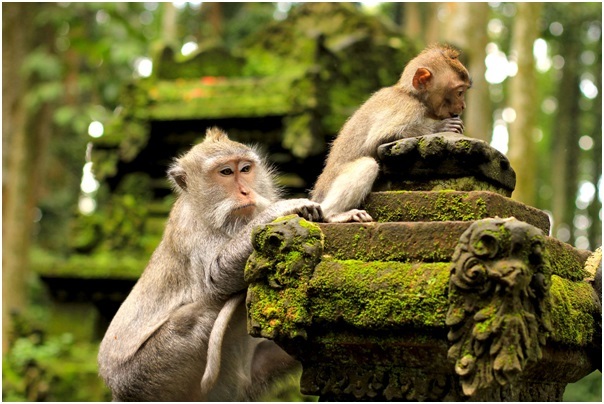 Alternatively, you can ditch the typical tourist stereotype of spending the entire vacation within the constraints of your exotic hotel amenities and find your way into the sacred Ubud Monkey Forest Bali, courtesy of an exclusive Bali tour. Interact up-close with the cheeky little long-tailed macaques primates at this remarkable temple complex and nature reserve. This spot is hilly and heavily forested and makes for a stunning getaway from the otherwise buzzing Ubud traffic. Located on Ubud town’s southern border just a short distance from the central town, this forest is a complete package that depicts the distinctive Balinese religion as well as its diverse wildlife. This sacred site is considered by many locals as a significant economic, spiritual and economic Center of the region. This is because, besides the cheeky monkeys, it is also home to three ancient Hindu temples established in 1350. While here, you can get the chance to mingle with the primates as well as feed them. Usually, they love to eat papayas and of course bananas. Bali is among the most economical tourist spots to visit. Nonetheless, a slight touch of luxury transforms virtually any getaway into an unforgettable and memorable experience. Luxury and a little bit of frill make for a trip worth bragging about, and Bali has just the provisions to get the bragging going. As soon as you set foot on the island, you are sure to receive exceptional treatment from the beginning to the end courtesy of the numerous and ideally tailored hotels, restaurants, and villas in Bali. With unremitting personalized service through your entire vacation, elegant rooms featuring stylish finishes as well as an assortment of high-end culinary options, you will ultimately feel hard-pressed to identify any of the beloved aspects of your entire stay. 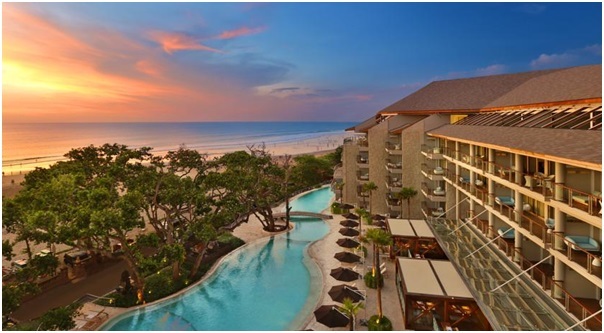 Bali features a complete array of accommodation options packed with everything from standard guest houses-managed by warm Balinese families-to luxurious 5-star hotels, not to mention privately-serviced villas with cooks and drivers. Undoubtedly, Bali is sure to have the ideal types of accommodation for you notwithstanding how small or large your convoy is. Whether you are in search of an international hotel or the more modest option, this island avails a diversity of options from which you can take your pick. 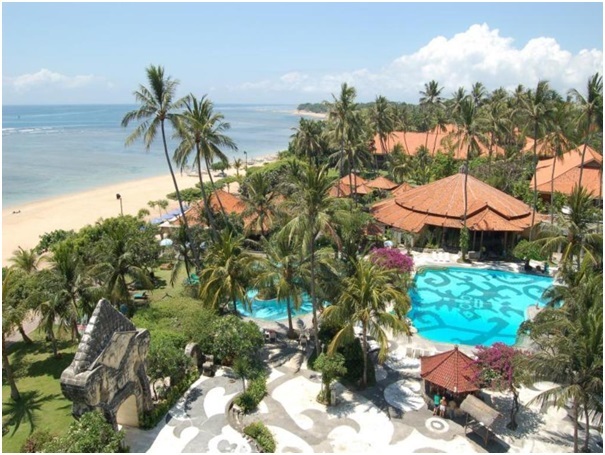 Accommodation here is comparably inexpensive, and the high service level of Bali, as well as the staff pleasantness, is a trademark for which the island is famous. 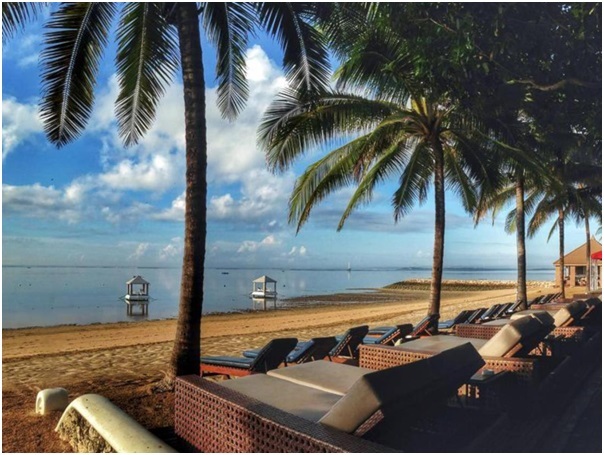 Vacationers can delve into the bussing social scene as in popular regions or delight in an elite getaway in a beachfront hotel Bali, rental properties, and tranquil private villas distributed across the expansive landscape. Backpackers will marvel at clean, tranquil accommodation options available at surprisingly low costs while those who prefer opulence can lead a lifestyle fit for royalty at very reasonable rates. No matter your choice, either between peaceful and modest, or outright extravagant, typical Bali accommodation delivers every bit of bang for your overall budget. While inside, you will find a fresh bouquet of flowers, ultra-modern fitness centers, the chicest décor, cocktail lounges, upscale cafes, not to mention customer service all so attentive and polished that you will find yourself wondering how you can smuggle home a concierge. Additionally, unwind with a refreshing foot massage and a spa treatment or bliss out at the private pool. All that is needed is for you to select one from the unlimited options and book for convenience. 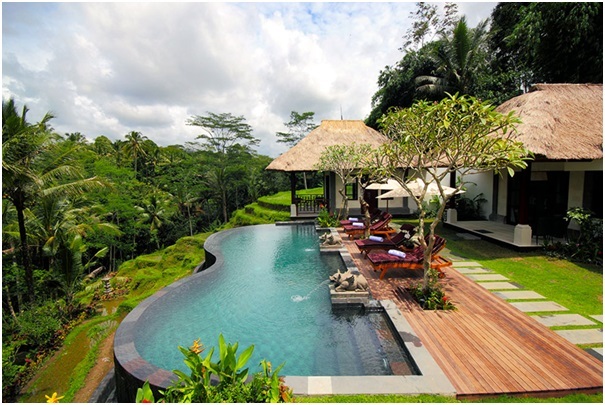 Alternatively, you can also stay in the exceptionally soothing and convenient Bali accommodation villas. Villas in this island offer a blend of privacy and luxury in the most peaceful of settings. It is like living in a small hotel all alone. Ranging from one up to even eight bedrooms and featuring fitness rooms, a garden, as well as a private pool, some of these villas are incredibly stunning and will remain etched at the back of your head for good. In fact, such is the opulence they offer, a look at how much they charge for a night will leave you surprised. Fully-serviced villa options usually comprise maids, a chef, and drivers to ensure your vacation is nothing short of superb. While not many locations across the globe can be an excellent paradox-filled destination, Bali effortlessly fits this crown. It is rich with the serene wilderness and natural beauty and is the home to wild nightlife. Moreover, this island preserves its customary culture’s elegance while enhancing it with a contemporary touch. And what better way to delight in and explore through such uniqueness among other lures than to plan and ultimately make good on taking an exclusive tour of Bali?